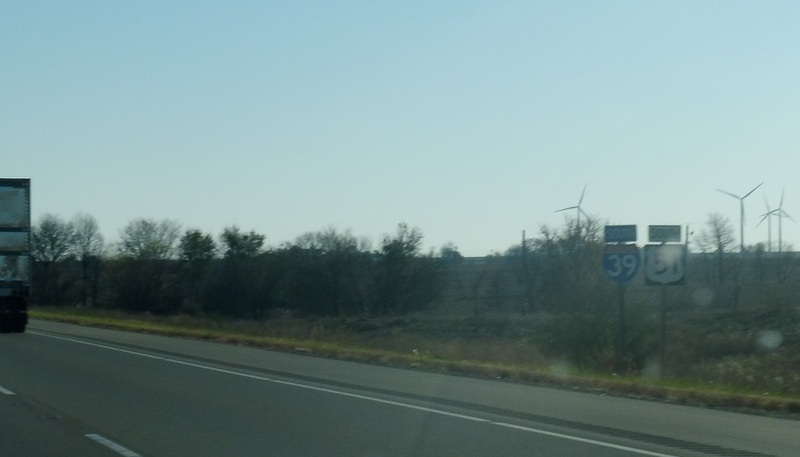 Reassurance shield after the 251 interchange. 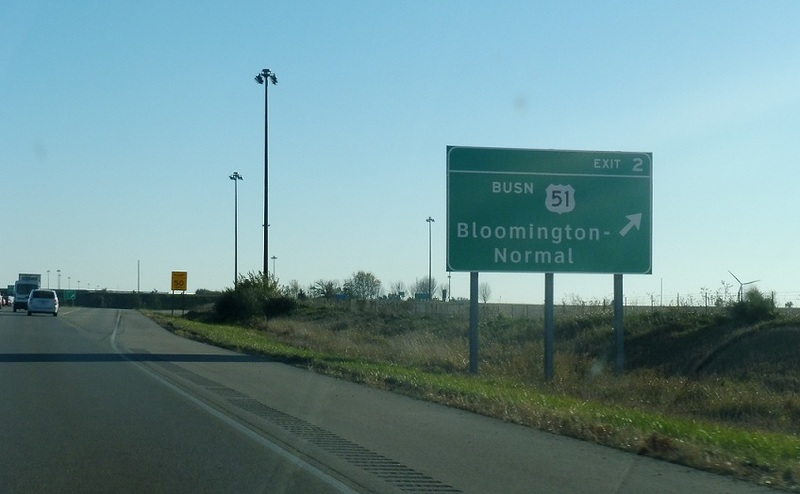 In a mile we’ll approach US 51 Business. 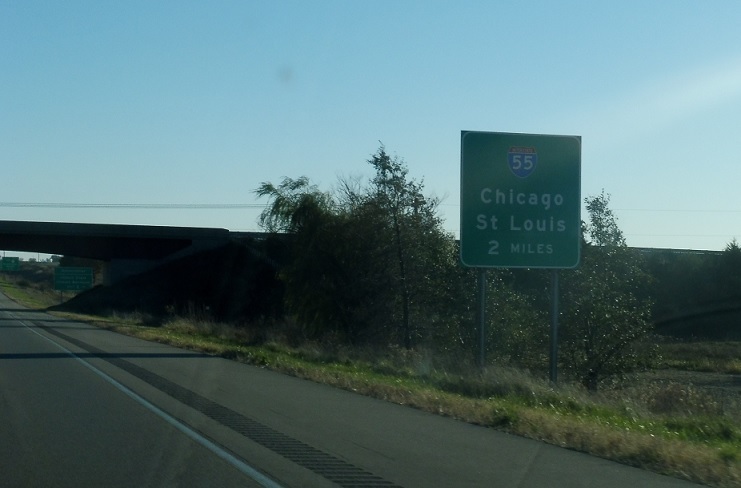 In two miles we’ll come to a junction with Interstate 55. 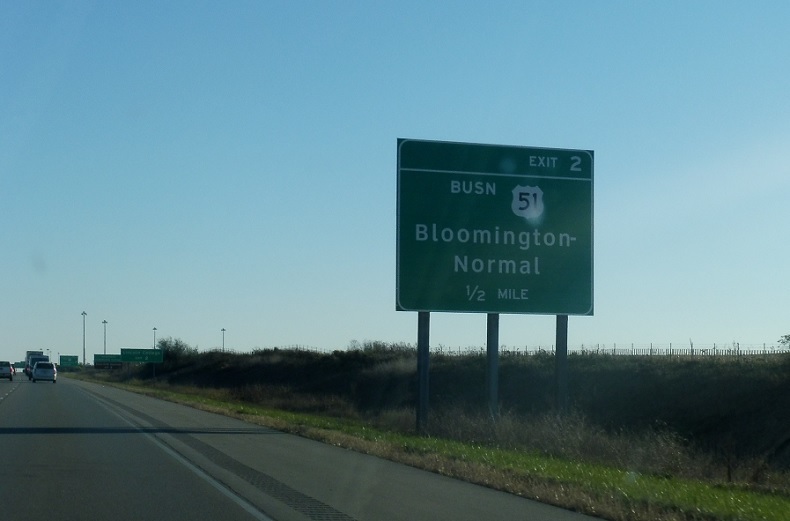 US 51 Business serves Normal and Bloomington. 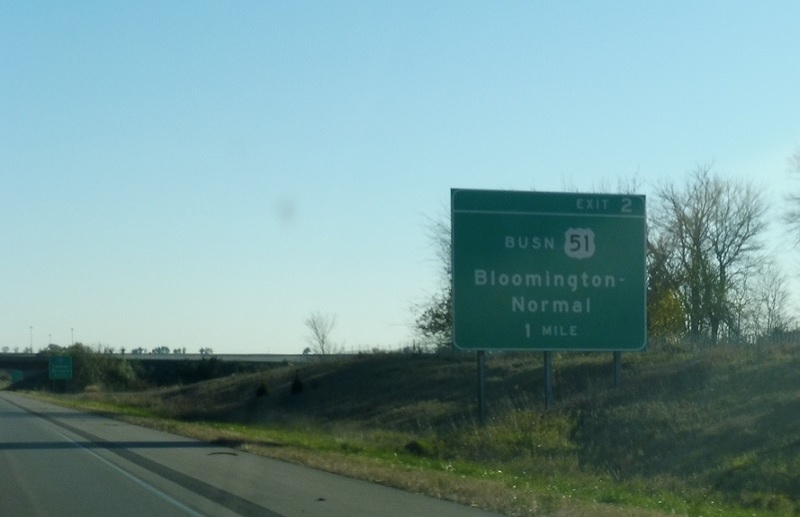 Exit for US 51 Business.